Wilton Classic and Supercar 2017 takes place on 3rd and 4th June. Wilton Classic and Supercar 2017 (WCS 2017) gives supercar fans the chance to see and hear some of the latest and greatest high-performance cars of all time. 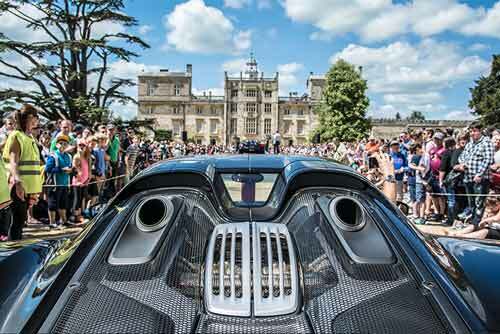 The Supercar event has been hosted by Lord Pembroke at Wilton House near Salisbury since 2009. With no WCS event in 2016, the organisers have taken the year to plan something very special for the 3rd and 4the June. Wilton Classic and Supercar 2017 – What’s on? The WCS 2017 event brings together the latest and greatest supercars from around the world, also aiming to tell the many amazing stories of the people behind the cars. Throughout Wilton Classic and Supercar 2017 there will be a number of themes or sub-events, to offer something for every type of car enthusiast. The three core themes will be the Wilton Wow!, the Wilton 6 Nations and the Wilton 100 – The Concours d’Histoire. WCS 2017 guests the chance to get up close to 300 of the greatest supercars of all time. Split over the 2 days, Saturday 3rd June sees pre-1990 supercars on show, with more modern, post-1990 supercars on show on Sunday 4th. The Wilton 6 Nations celebrates automotive excellence and culture from around the globe in six dedicated national gardens and zones. The Concours d’Histoire brings together a rich variety of cars from every era, all linked through the rich and interesting stories they have to tell. 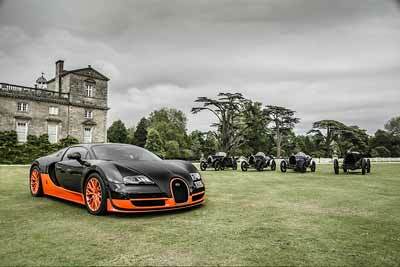 Advance Tickets for Wilton Classic and Supercar are now available. Adult tickets start from £25 per day for adults or £37.50 for the full weekend. Premium adult tickets cost £50 per day or £75 for the weekend. Premium tickets allow access to the VIP Garden Enclosure hosting the Pembroke restaurant and Tate Bistro. There is also privilege parking upgrade and access to the House during certain times each day. One adult ticket bought in advance also allows free entry for two children (age 14 and under). Extra children’s tickets (ages 3-14) cost £10 for one day or £15 for the weekend. Entry is free to children under 3.